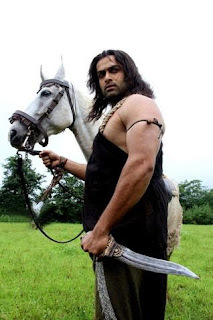 Prithviraj is so stylish in the new film Urumi. 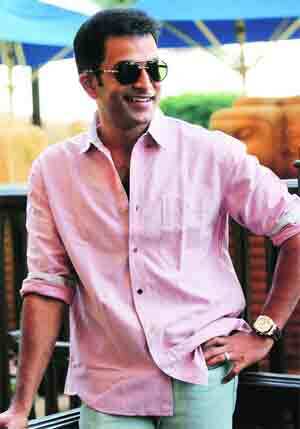 The fans and lovers of the bold actor of Malayalam film industry, Prithviraj is waiting for his new film. Ayalum Njanum Thammil is a simple Malayalam romantic movie which was directed by the most talented director Lal Jose and produced by Prem Prakash. The theme of the film is basically the relationship between two medical professionals a committed senior doctor and an irresponsible and the happenings occurred in their life. 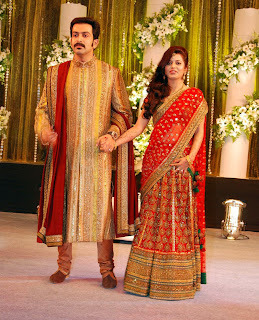 The film has got its peak in the box-office and hits the top. I brought four Kerala State Awards with best director, best popular film, best actor. The story depicts a doctor's life, and how he manages the situations that occurred in his life. The main role Dr. Ravi (Prithviraj) is haunted with some real situations which can't be able to withstand. Lots of good scenes are incorporated in the film to enhance the reality of the life. The young doctor faces critical situations throughout the story. 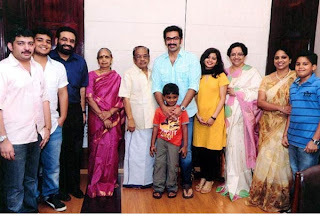 Prithviraj is back with a Lal Jose film as Dr Ravi Tharakan along with Prathap Pothen, Remya Nambeesan, Rimakalingal, Samvrutha Sunil, Narain, Salim Kumar, Kalabhavan Mani and various other casts. Ayalum njanum thammil is a story that discovers a relationship between 2 doctors in the field of medicine. The film introduces us with Dr Ravi Tharakan who is a well known cardiac surgeon at a private hospital. One night an ailing girl is brought into the hospital by her parents. Dr. Ravi attends to her and decides to operate the girl for free although the girl’s father is against it. During the surgery the girl dies and the girl’s father along with a few politicians blames Dr. Ravi for the death of the girl. Dr. Ravi is forced to flee but on the way he is met with an accident and is nowhere to be seen. The movie is then told in a series of flashbacks after Diya who used to work in the same hospital Dr. Ravi worked is on a search for him. The movie introduces us Dr. Samuel who is a senior doctor in Munnar and Dr Ravi’s mentor and guide which is portrayed by Prathap Pothen, Dr. Vivek, Dr. Ravi’s Best friend and former classmate, played by Narain, Sainu, Dr. Ravi’s love interest and various other casts including Remya Nambeesan, Salim Kumar and many others who are in some part of Dr. Ravi’s life. Prithviraj has handled character brilliantly and has given a fantastic performance as Dr Ravi Tharakan. He has been able to handle both the young and current versions of Dr. Ravi without any difficult. Lal Jose was able to paint a beautiful canvas and gave the audience a really beautiful bond between two professionals in the field of medicine. Ousepachan has done a good job in handling the music and the background score to which Vayalar Sarath Chandra Varma has penned beautiful lyrics to the songs in it. Prithviraj Sukumaran on of the youngest film actors in Malayalam film industry now starring with Mammootty in movie named Arivaal Chittika Nakshathram. Prithviraj's new film Arivaal Chuttika Nakshathram is directing by Amal Neerad.Prithviraj first acted in the movie named Nandanam directed by Renjith during 2001. The trend of producing Malayalam films with youngster actors came into effect by the the super hit of his film Classmates released during 2006.